It was Savanna’s first time on this kind of swing. Joshua insisted on holding her hand so she wouldn’t be scared. The truth is, Savanna is a bit of a dare devil, and I didn’t think she would be scared. It turned out that she loved this swing. The two of them giggled with each push. Moments like this fills my heart with so much joy that I feel like I could burst. 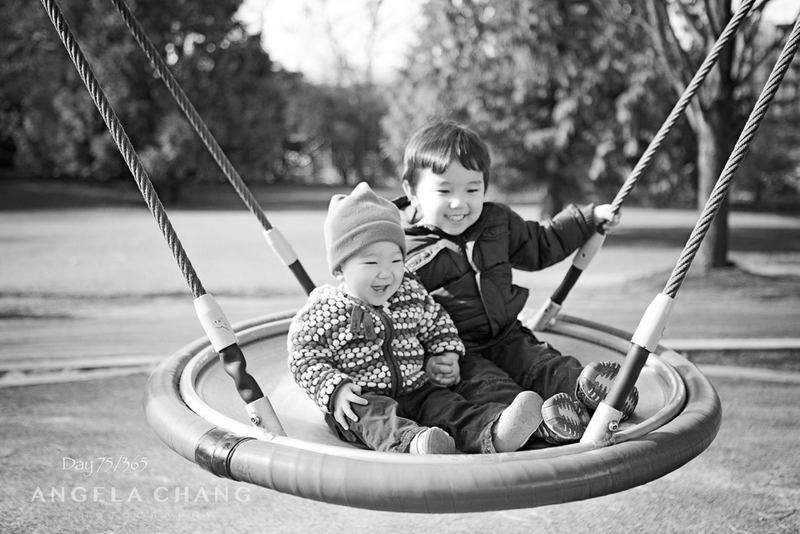 This entry was posted in 365, Photography and tagged 365, Joshua, Savanna, swing by angelasaito. Bookmark the permalink. What a precious photo! And such a caring big brother. I wish we had swings like that here, but I’ve never seen one!